Draganon Benefits | Does Draganon Increase Brain Power? Draganon is a nootropic drug which has been tested on animals, elderly patients suffering from age-related diseases, and even healthy individuals, all with positive results. Currently, Draganon is available by prescription in Europe and is sold as a dietary supplement in the United States. 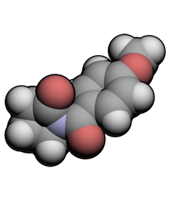 Unlike most nootropics, Draganon has a plethora of clinical evidence supporting its purported claims. Draganon primarily affects the central nervous system, stimulating parts of the brain responsible for learning and memory. Draganon is generally well tolerated for therapeutic use and has no known contraindications. Mild side effects include agitation, anxiety, unrest, and insomnia. These can be reduced by only taking Draganon once every morning to keep it from interfering with regular sleep patterns. Other side effects of Draganon include headache, drowsiness, weakness/fatigue and dizziness, although these are rare. How Does Draganon Help Brain Function? In the elderly and in healthy subjects, Draganon enhances cognitive function and alertness. Draganon is an ampakine, a class of drugs which boost the activity of the neurotransmitter glutamate in the brain; this neurotransmitter is essential in cognitive function and memory. Draganon also possesses neuroprotective properties. While Draganon has a wide range of benefits, we are pleased with its proven effects as a brain and nervous system revitalizer. Wondering about which brain supplements contain Draganon? Check our brain supplement reviews!